Actors met at Northern Stage in White River Junction for a read-through of Deployed, a play that originated from a Veterans Book Group for female veterans. In 2015, Valley News writer Nicola Smith attended two sessions of a Veterans Book Group for women, held at the Veterans Affairs Medical Center (VA) in White River Junction. In these groups sponsored by Vermont Humanities, military veterans connect with each other by reading and discussing literature. “I thought the group was a very useful way for the women to talk about their experiences without feeling as if they were in therapy,” Smith said. In the months after attending the sessions, she worked with Carey Russ from the VA to identify women who would be willing to be interviewed about their military careers. The interviews led to Deployed, a play that Smith co-wrote with Samantha Lazar, and which features the stories of seven female veterans. “It’s about what they got out of the military, their sense of patriotism, how they dealt with sexism, and their pride in having served,” Smith said. 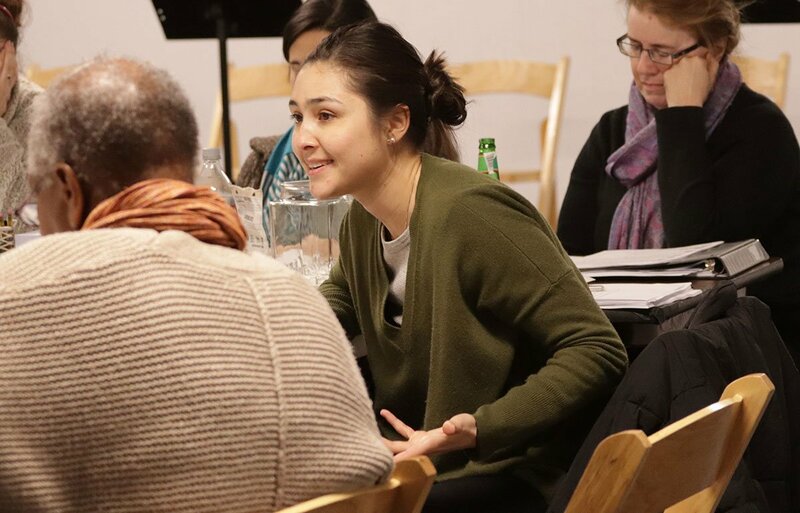 The professional theater company Northern Stage brought actors to White River Junction for one week in late March to rehearse the play with Smith, Lazar, and Director Amanda Rafuse. The rehearsals culminated in a public reading at the VA on March 30. A Creation Grant from the Vermont Arts Council helped support the public reading. Smith imagines that readings of the play could be performed at other VA Medical Centers in New England, or that the play could be developed into full-fledged production to be staged by small theater companies.